Roses and blackberries are early colonizers of reclamation lands. 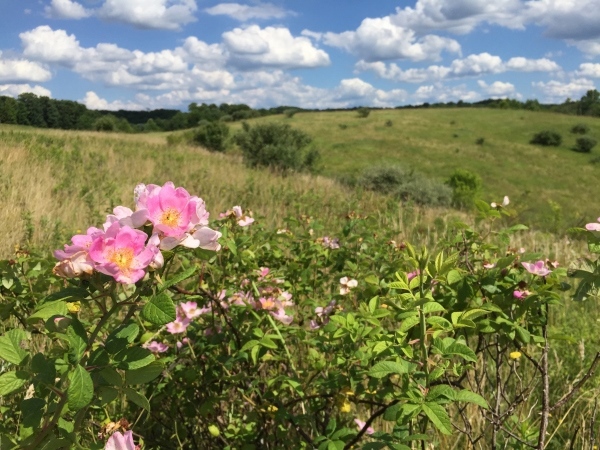 Spring pollinators rely on pollen from flowers such as this Rosa setigera growing on a 10-20 year old reclaimed coal mine in Wayne National Forest, Ohio. In following years, twig-nesting bees may also take up residence in the dead canes of the blackberries. Believe it or not, there are nine, temporary Oklahoma wetlands in this picture, obscured by tall grass. 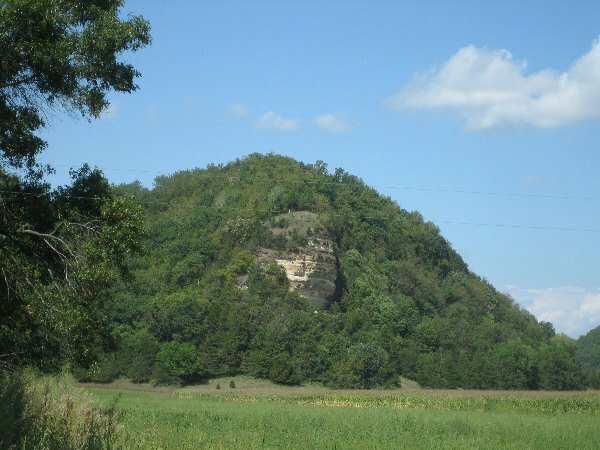 Without field exploration, who knows what diversity could be found in each? 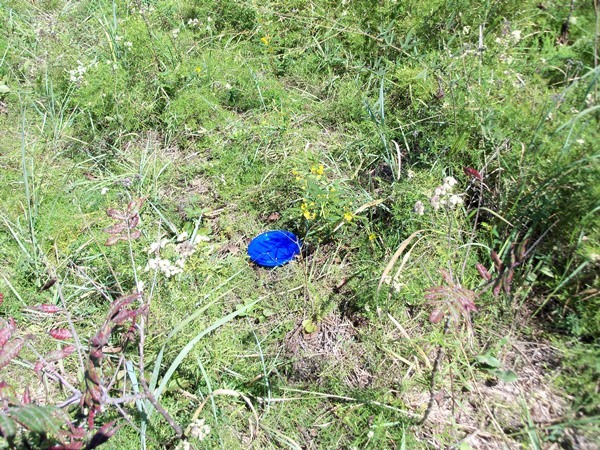 A blue ground-level pan trap. 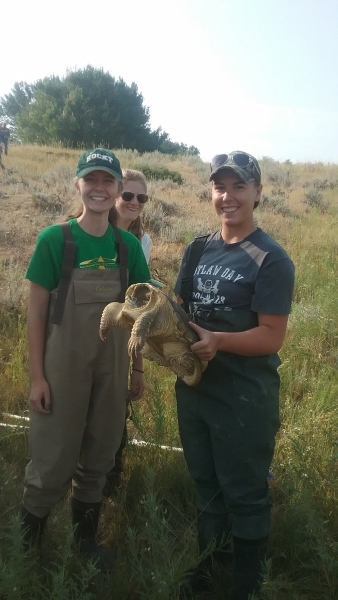 College students with a common snapping turtle in Montana. 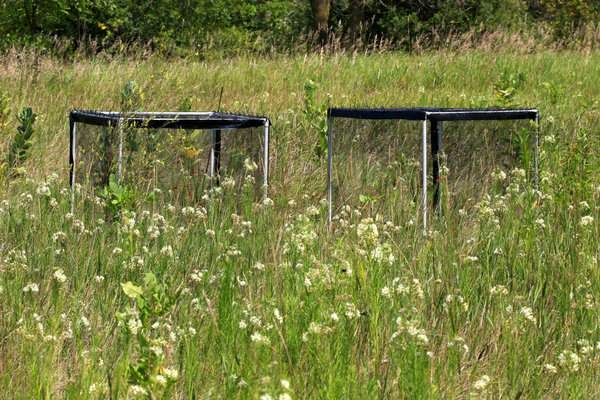 Pollinator exclusion cages in an Asclepias verticillata study population. Cages were used to prevent pollinator visitation outside our experimental window. We removed the cages during experimental pollinator exclusion and observation. Tiny hill prairie atop bluff, in Wisconsin. 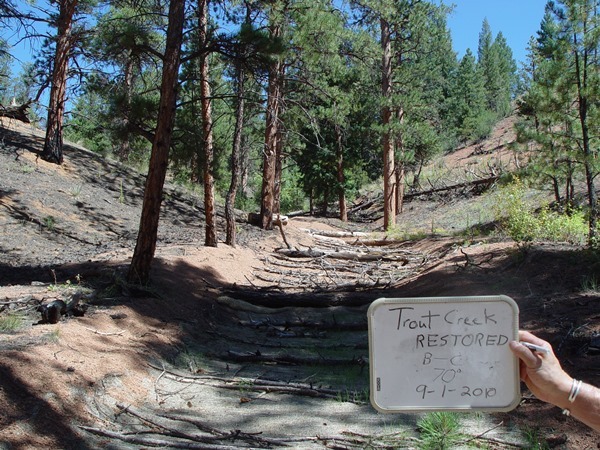 Trout Creek after restoration work was finished. 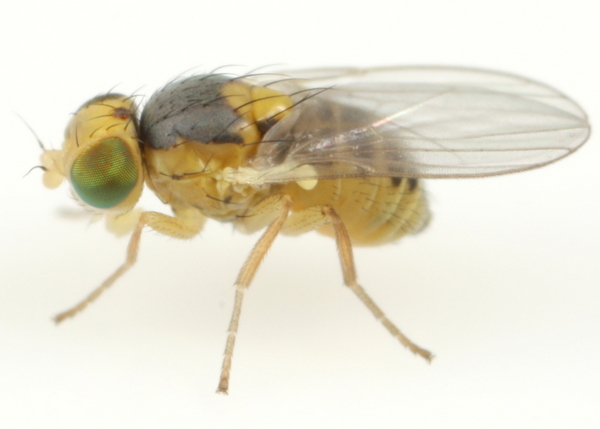 This is a new species of Liriomyza (Agromyzidae) reared from a leaf mine on cup plant, (Silphium perfoliatum, found in a prairie in eastern Iowa. Prairie lakes on a midsummer sampling day at a private grazed prairie in Pope County, MN. Kate Wilkins checking one of 60 remotely-triggered wildlife cameras mounted to u-posts through the prairie in northern Colorado. 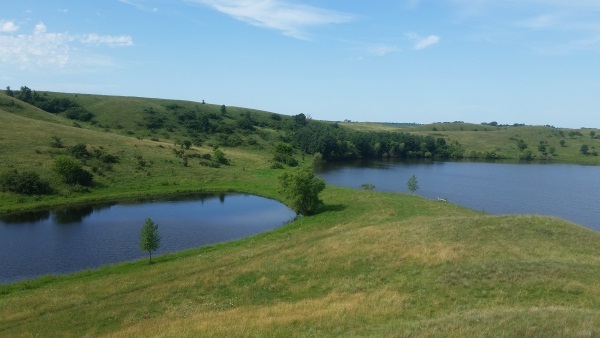 The wildlife cameras provide data on how mammal habitat use and interactions change before and after bison reintroduction. 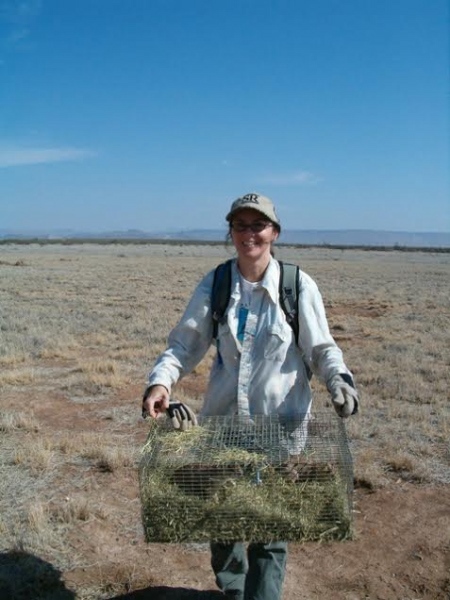 Kate will also compare mammal habitat use between bison and cattle grazed sites. 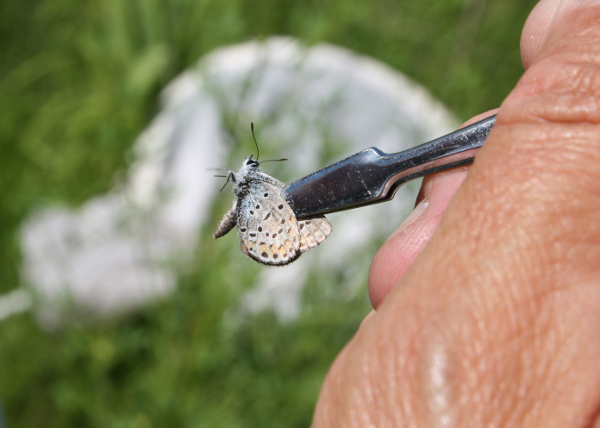 Research assistant Jacob Mortensen makes a new county record for Melissa Blue (Lycaeides melissa) in Ringgold County, Iowa. 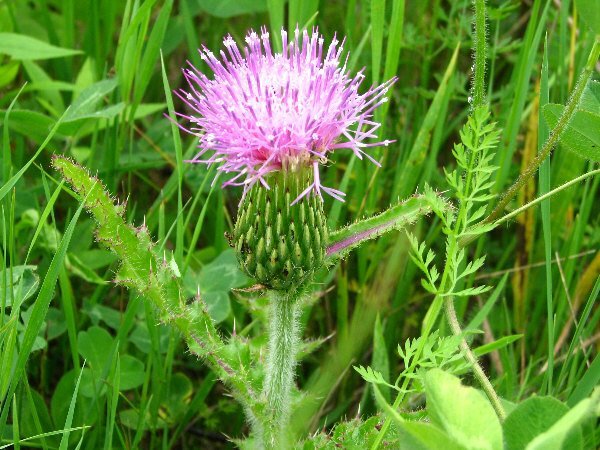 Cirsium hillii at Bad Axe Headwaters. 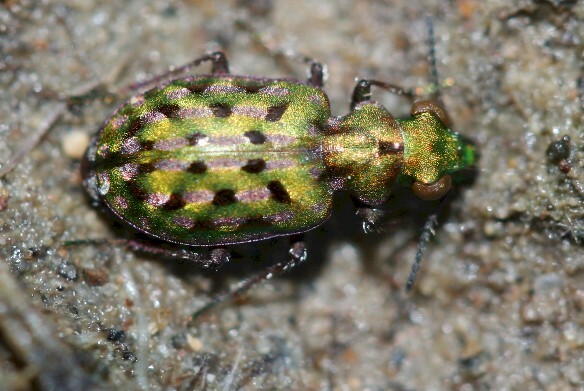 This is the spotted color morph of the delta green ground beetle (Elaphrus viridis), a federally "Threatened" species living close to vernal ponds in California. 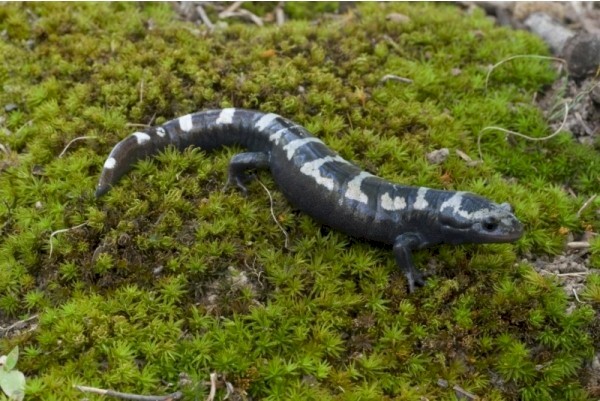 Researcher Adam Clause studies this beautiful animal at the Jepson Prairie Reserve. 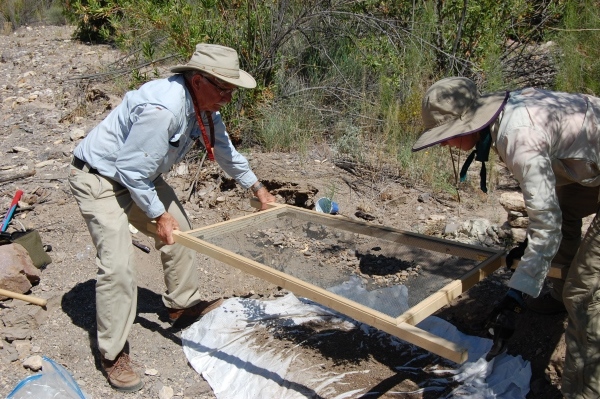 Norm Horner and Christin Smith sifting excavated material looking for spiders near Big Bend, Texas. 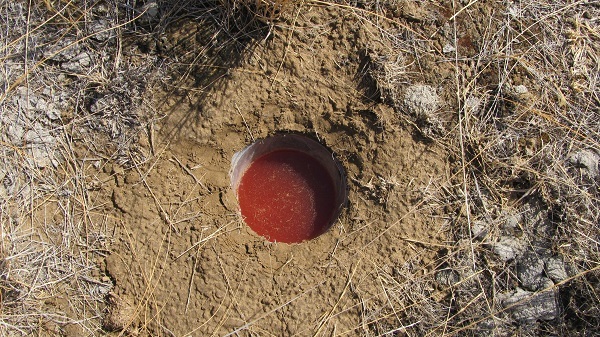 A pitfall trap, filled with propylene glycol, for spiders at TNC's Boardman Grasslands in Oregon. 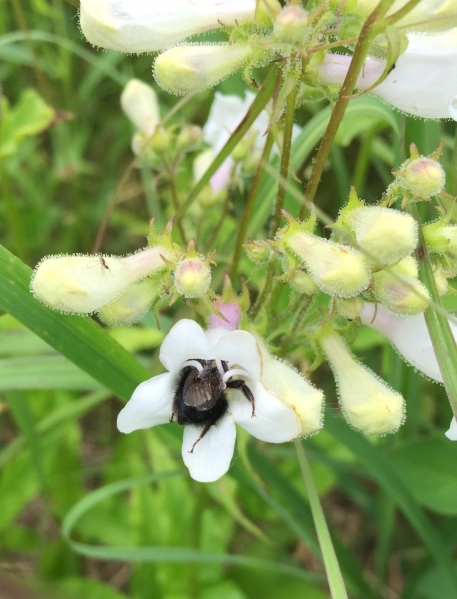 A bumble bee worker dives head first into a flower of Penstemon digitalis, a hardy species that grows well on the dry soils of reclamation sites and that is highly attractive to wild bees. 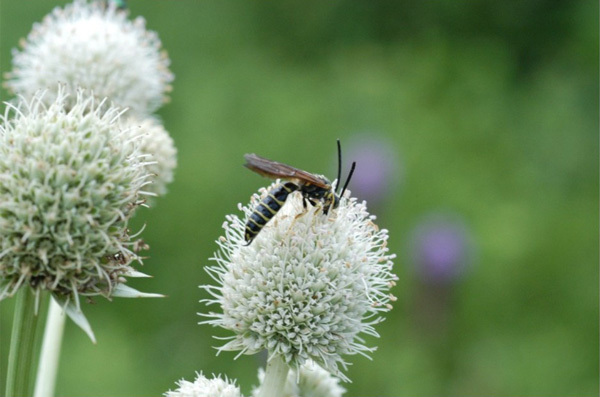 A tiphiid wasp making use of rattlesnake master flowers. 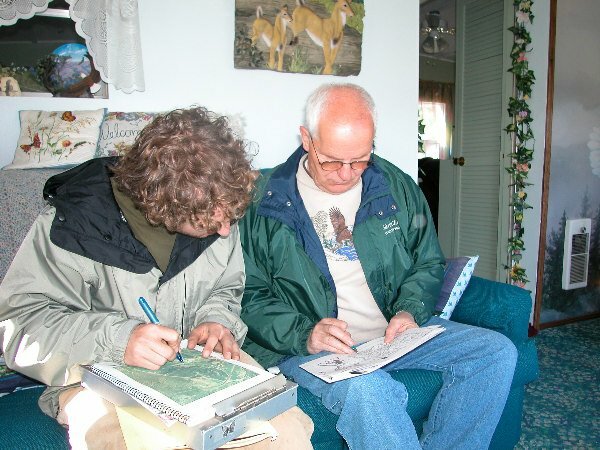 Researcher Stephen Hendrix strategizes with a student researcher. Prairie deer mouse captured in Monroe Co., Wisconsin. 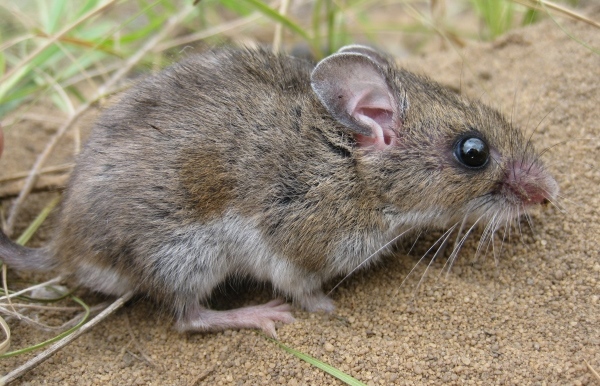 This subspecies of the deer mouse is a prairie obligate in central and southern Wisconsin. 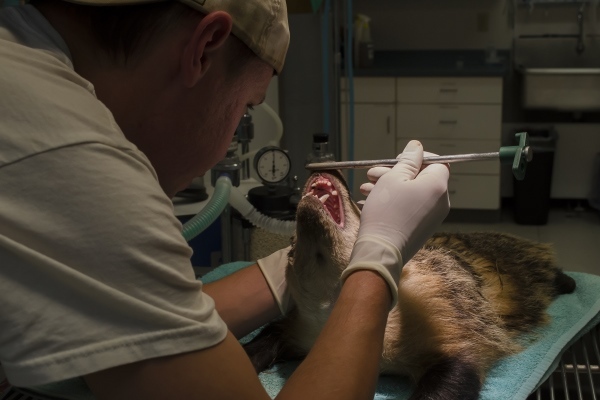 Researcher Stacy Duckett with black-tailed prairie dogs being reintroduced to an area in Brewster Co., Texas, from which they had been extirpated long ago. 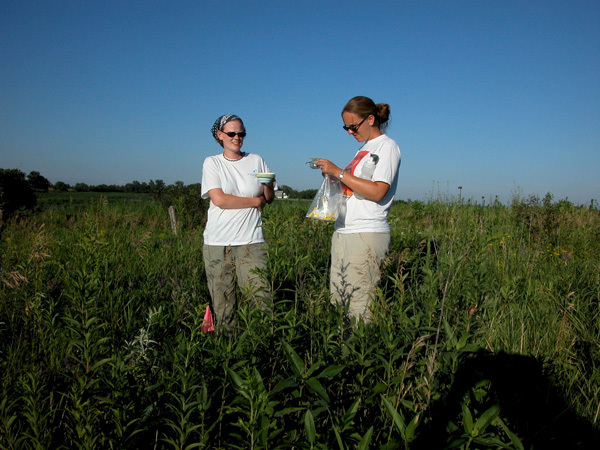 Researcher Chiara Hemsley with a field assistant on an Iowa prairie studying wild bees. 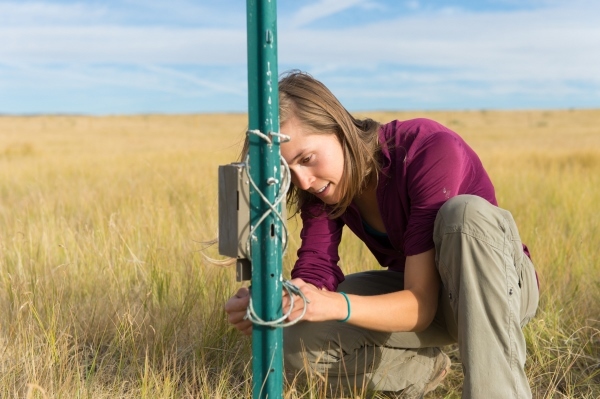 Researcher Chris Carlson's project is the resurvey of Montana grasslands some 60 years after an earlier survey by student researcher W. W. Mitchell. 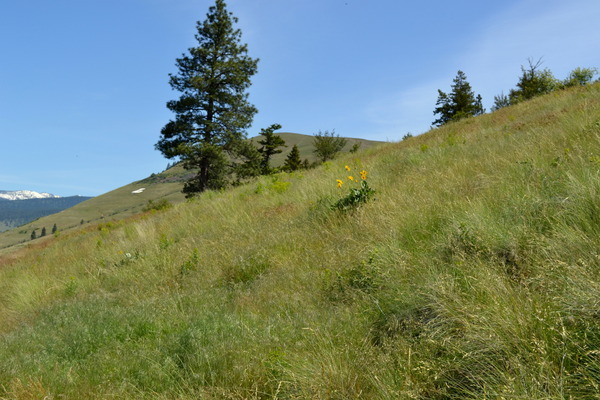 This plot is on the slope above the University of Montana, up by the "M". Recreation, exotic grasses and forbs, herbicide and at least two wildfires have cause big changes here; 16 species of native forbs have disappeared. 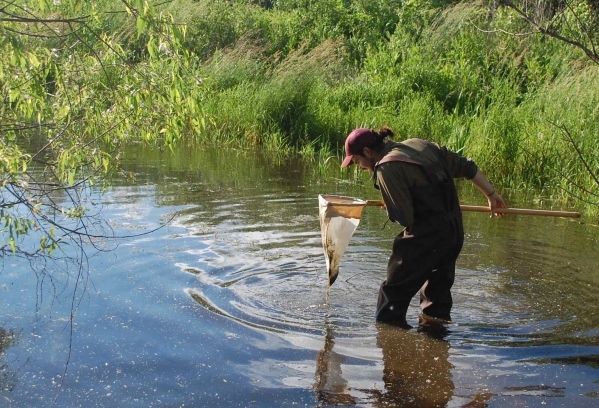 Researcher Timothy Swartz using a dipnet to capture amphibian larvae in a small farm pond in Ringgold County, Iowa.